Classic Italian side table in walnut finish. 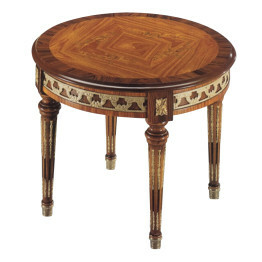 This finely detailed accent table features gold decoration on the legs and a classic Italian inlaid top. 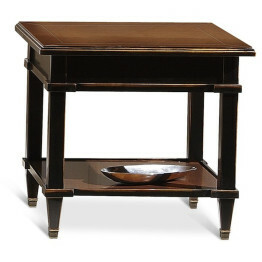 All of our side tables come in your choice of walnut, cherry, or mahogany finish. 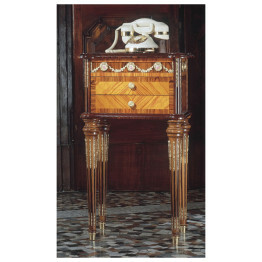 Since all of our Italian furniture is made to order, we urge you to call or e-mail ItalyByWeb.com and talk to one of our knowledgeable staff. 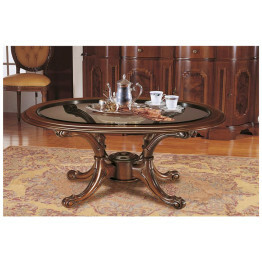 We enjoy answering questions about our Italian furniture and helping you with your decisions. 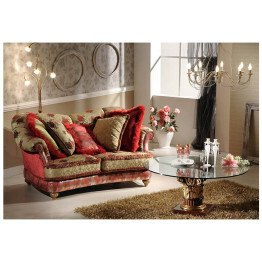 Classic Italian armchair shown GV831p. 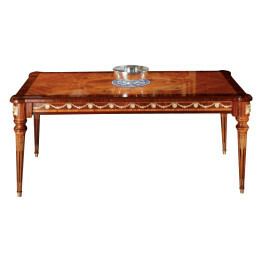 This elegant low table boasts a beautiful wood and mother of pearl inlaid top, and is sure to add a distinctive and refined look to any sitting room. 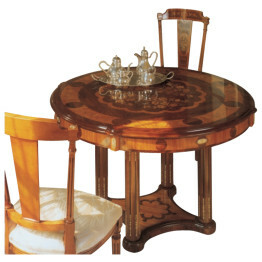 To customize your table please call or e-mail our knowledgeable staff at Italybyweb.com and we would be happy to help you with any questions you may have. 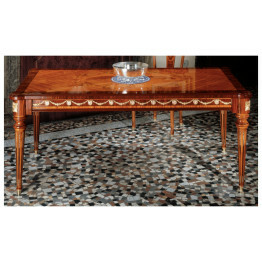 Classic square Italian coffee table. 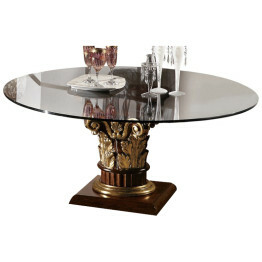 Made in Italy by skilled Italian craftsmen with generations of experience. 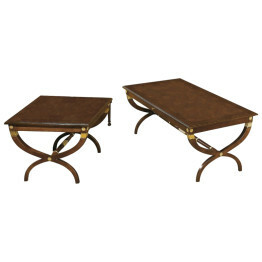 This beautiful coffee table is of beautiful wood construction and shown in walnut finish with an elegant gold trim. 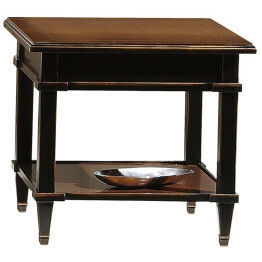 Price shown is for 39″ square (also available in 43″ and 47″ square sizes). 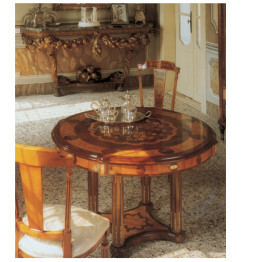 Our superior Italian furniture is made 100% in Italy and every piece is custom built to your taste. 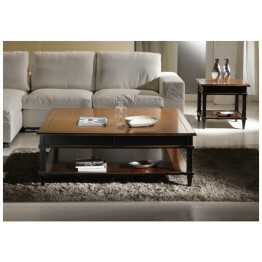 Italybyweb.com is a direct importer from Italy and passes on the savings to you. 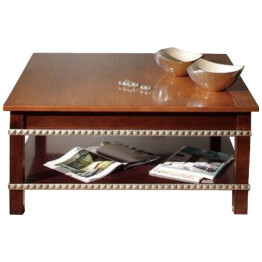 Classic Italian coffee table in walnut finish with gold decoration has a burled ash top with a cherry band border. 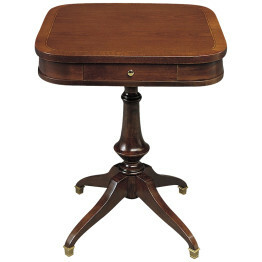 26″l x 26″w x 20″h. 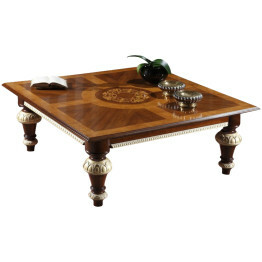 Part of the Raffaello Collection this classic Italian coffee table shown in walnut finish with distinctive inlaid wood top and antique Florence gold decoration. 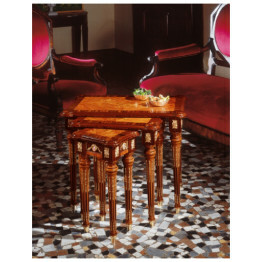 Like the complementary GV1252 Italian dining table, this beautiful table was unveiled to wide acclaim at the Milan furniture fair. 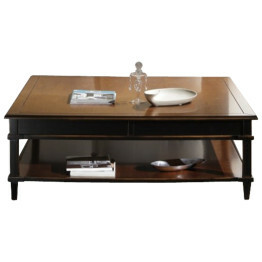 Classic Italian style takes a turn for the contemporary in this functional square coffee table. 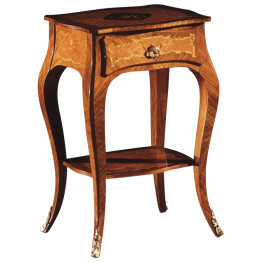 Part of the new Contemporaneo collection, this is equally at home in a modern or traditional setting. 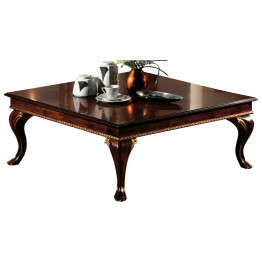 Shown here in cherry finish + antique black. 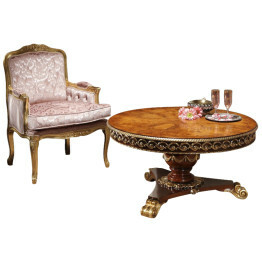 New in the Guerra Vanni line! 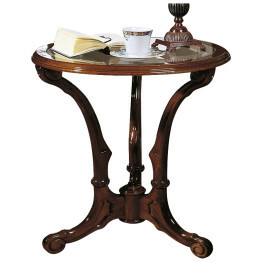 Classic Italian coffee table. 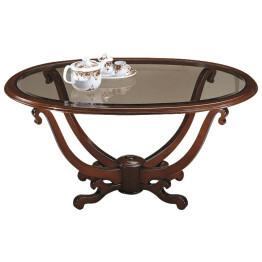 Beautiful coffee table with all wood base and round glass top. 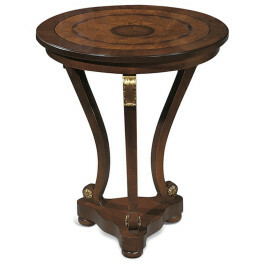 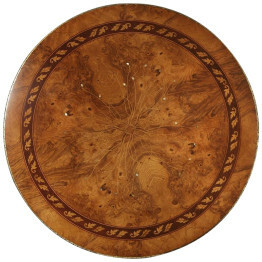 This unique table has an ornate carved base with gold decoration. 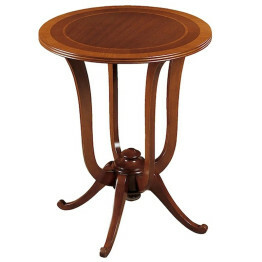 Classic Italian round side table shown inlaid on briar in walnut finish. 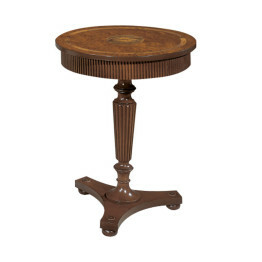 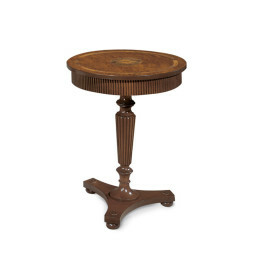 Beautiful side table features a turned pedestal and scrolled feet. 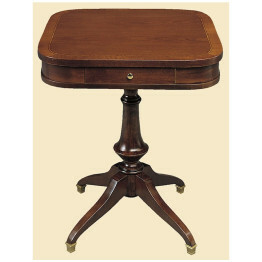 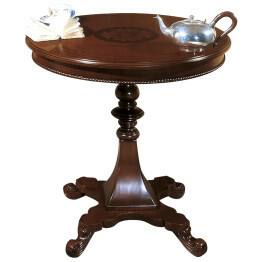 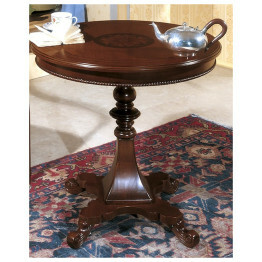 Making the perfect accent to any room this charming table may stand alone or be paired with a side chair. 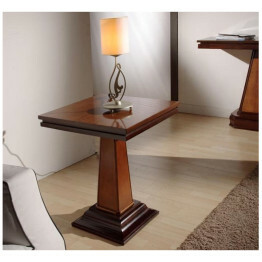 Your choice of walnut, cherry or mahogany finish is available on all our Italian furniture. 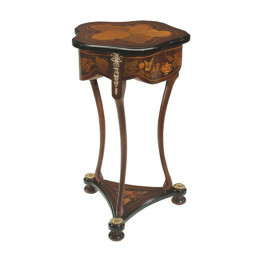 This tulip shaped base side table will add elegance to your home. 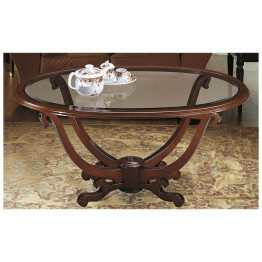 Traditional style table top with two border lines in a warm walnut finish. 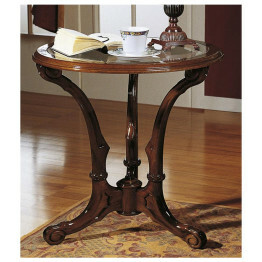 Classic Italian style takes a turn for the contemporary in this functional square side table. 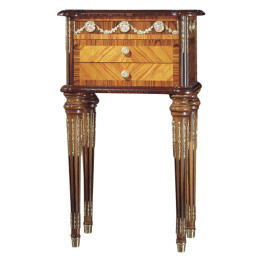 Part of the new Contemporaneo collection, this is equally at home in a modern or traditional setting. 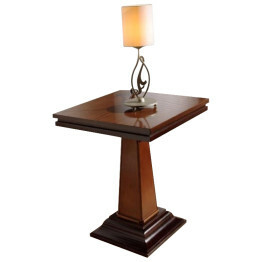 Classic Italian style takes a turn for the contemporary in this functional square lamp table. 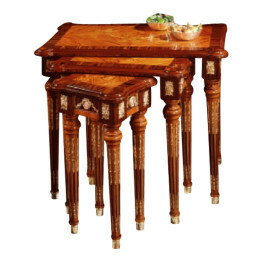 Part of the new Contemporaneo collection, this is equally at home in a modern or traditional setting. 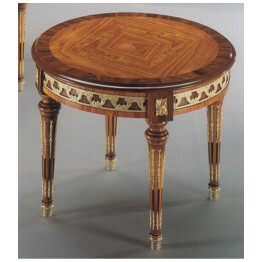 Louis XVI Dining Table with inlaid back and carved legs. 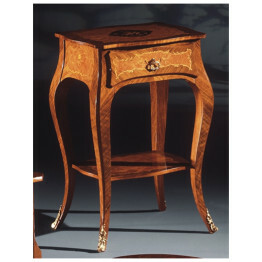 The Louis XVI is a reproduction of the table you would have seen during The King of Frances reign from 1774 to 1792. 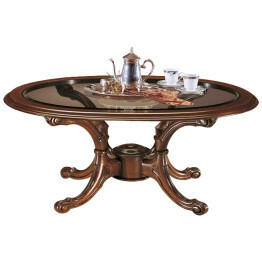 This table is a classic that the French designed and the Italians have made for your castle to be enjoyed by you and your guests. 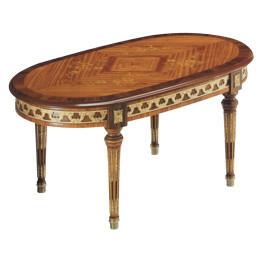 The inlay details along with the Limoges around the edge of the table are exquisite and represent artisan craftsmanship at it’s finest. 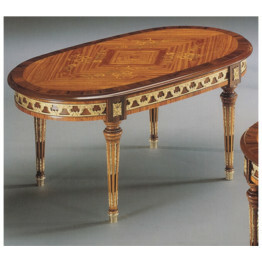 Rectangular Table Louis XVI can be made larger to accommodate more seating.